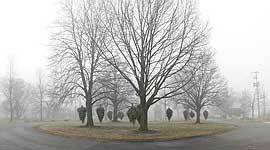 Christmas trees haunt the traffic circle before the annual Equinox bonfire of 2012. 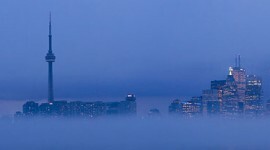 The Toronto skyline floats in the sky, sandwiched between dense cloud and fog, in 2008. Click image to view larger.